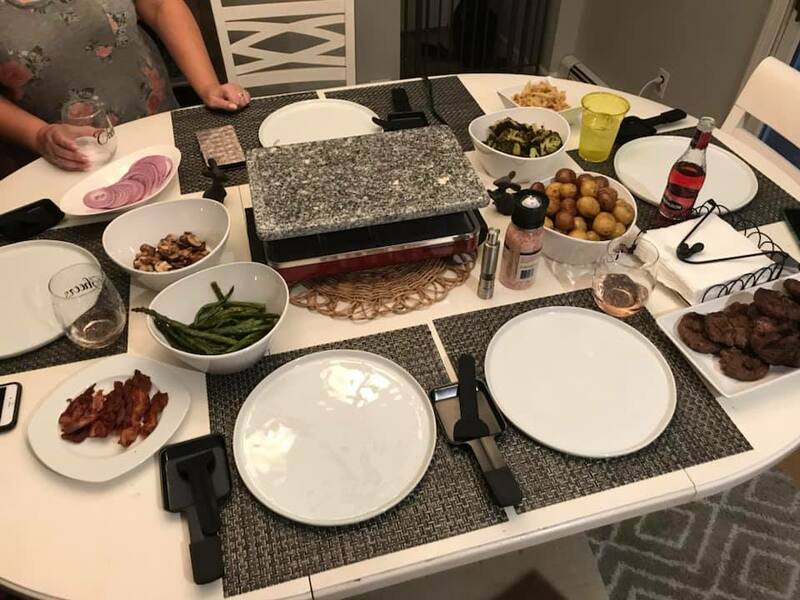 What is a raclette grill? 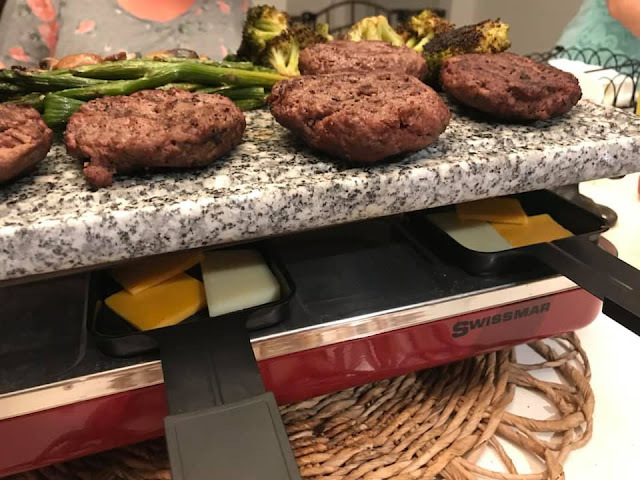 It is a grill, popular in Switzerland and Germany, that allows you to melt cheeses of your choice in a pan, and then scrape the cheese on to your food. Raclette is also a type of cheese, that has a really perfect melting point. Throwing a raclette party is a great way to have everyone be apart of making dinner. It is fun and unique way to bring friends together. 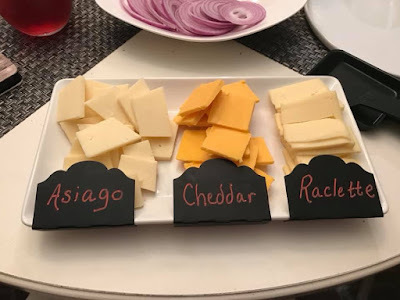 I invited three of my girlfriends over for this dinner party. 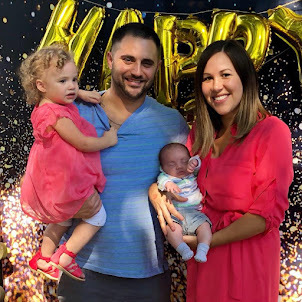 Being I work full time, and have a newborn, time is hard to find. I was able to roast everything ahead of time, which really helped prepare for a party like this. 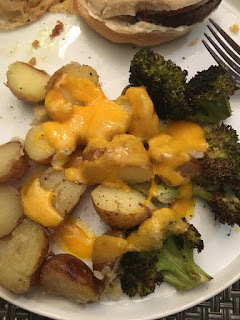 I started by roasting vegetables - potatoes, broccoli, and asparagus. 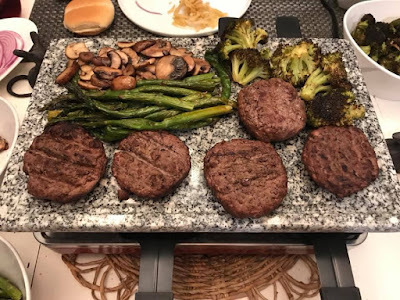 I drizzled olive oil on the veggies, and seasoned with salt and pepper before roasting them in the oven (1 hour for potatoes, 40 minutes for broccoli and 15 minutes for asparagus - all on 375 degrees). Next I fried up some bacon, and onion strings. 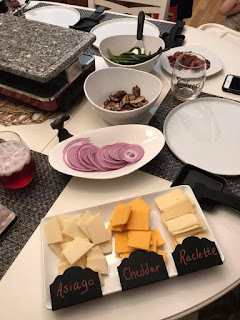 Sauteing mushrooms is also a great side for raclette! 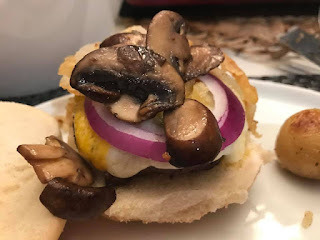 Next, my husband Kevin, barbecued sliders outside on the big grill. 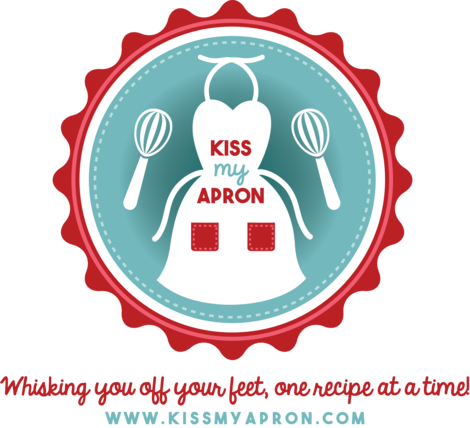 This saves time and the house from smelling like smokey burgers. 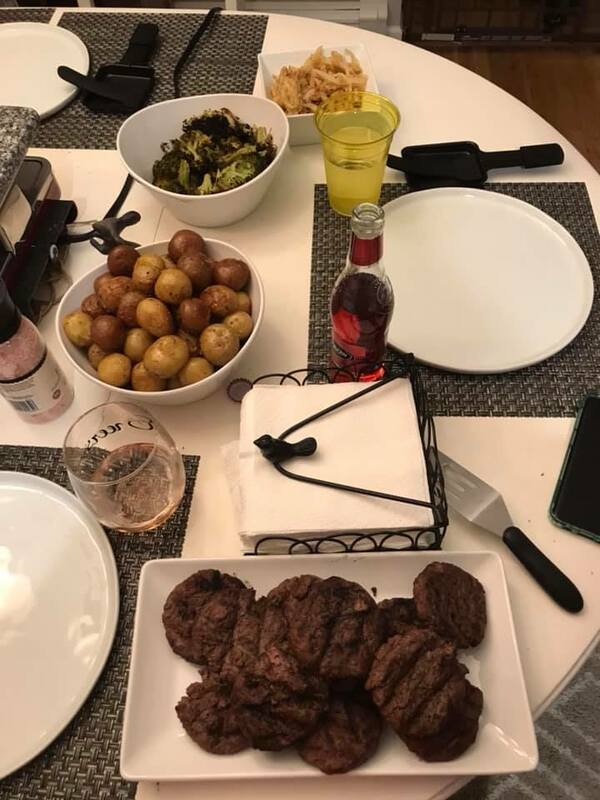 All of the food at this point was technically finished, just before our friends arrived. Keeping the raclette grill on low will allow you to place your food on top to keep it warm. 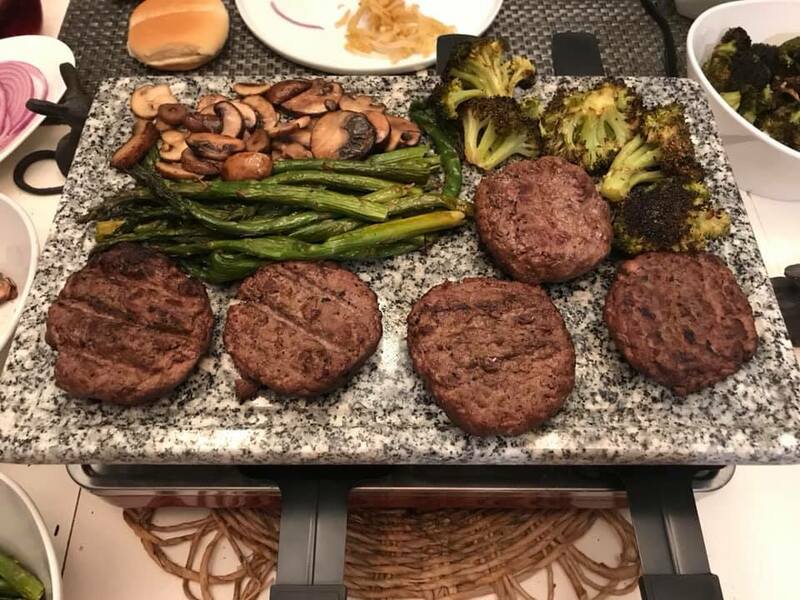 While the food warms up on the grill, our guests placed the cheeses they wanted into their pans, and began to melt them under the stone of the grill. Once the cheese begins to bubble, you can use your scraper to pour the cheese onto your burger and veggies. I have done raclette with many different cheeses, but was happy that this time my local cheese shop had actual raclette cheese. It was so delicious! Our friends always ask, "when is the next one going to be?!"